This post is sponsored by Barilla®. We teamed up to introduce you to their new line of one-ingredient legume pastas made from chickpeas or red lentils. 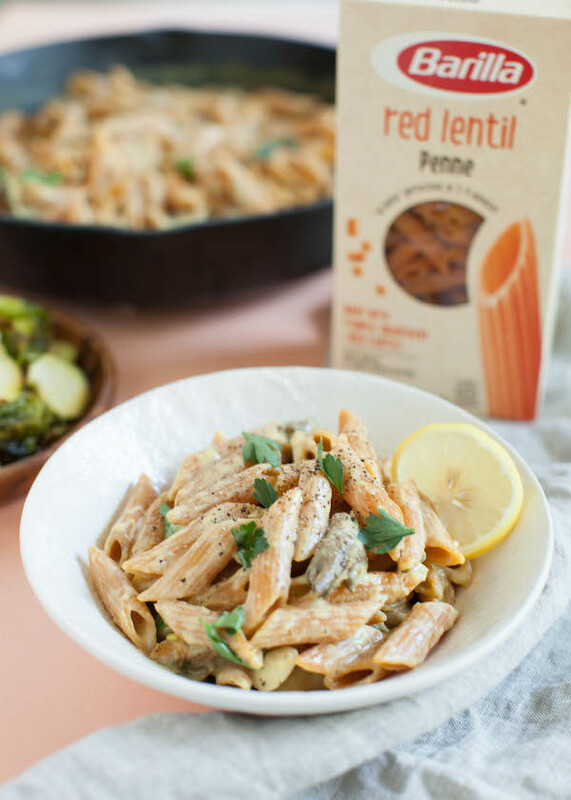 If you love pasta, and you love getting the most nutrition out of every meal, then you’re going to love their new legume pastas, and this creamy Red Lentil Pasta Alfredo. I can’t tell you how many creamy sauces I’ve had to skip at vegan restaurants over the years. Eaters of the Standard American Diet (SAD, for short) might think there’s no way a great creamy sauce can be made without dairy, but vegans seem to think there’s no way a creamy sauce can be made without cashews. And I’m allergic to cashews! 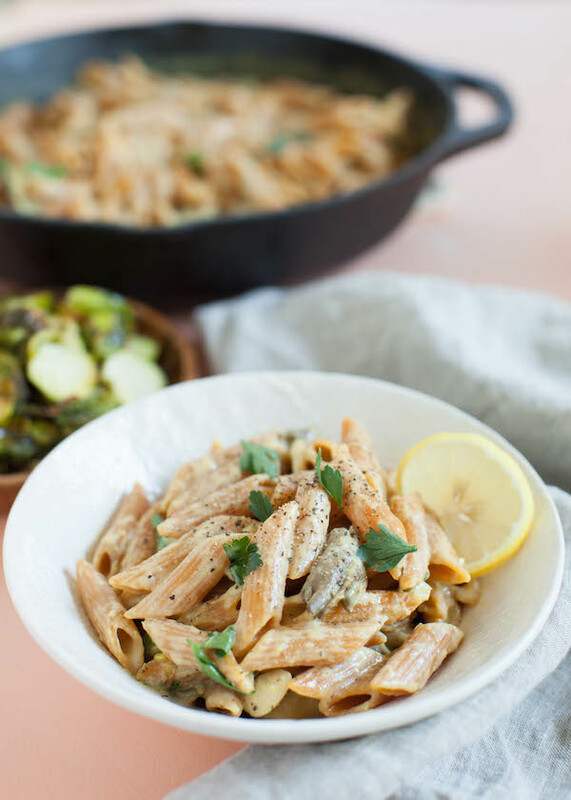 The truth is, creativity in the kitchen is the reason we have Alfredo sauce in the first place, and it’s the same reason new generations of chefs can endlessly adapt and reinvent it. 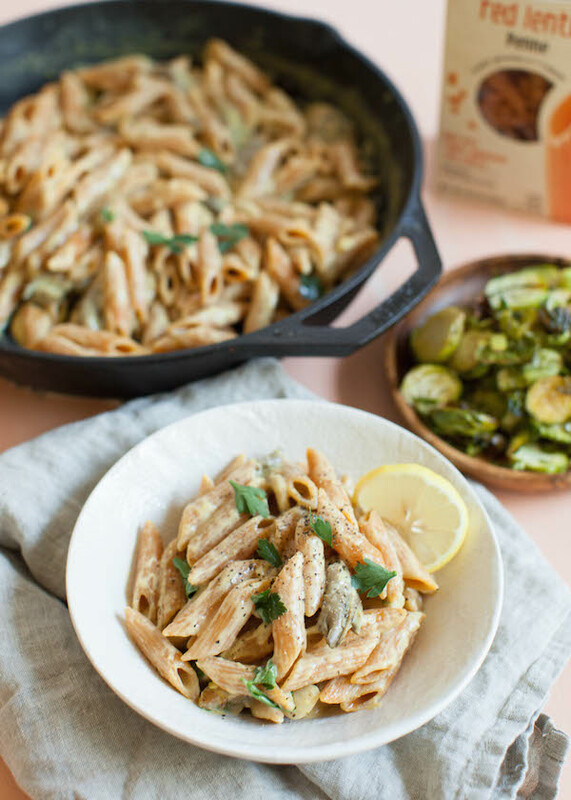 For my vegan Alfredo sauce, I skip over the dairy, skip over the cashews, and use the perfectly creamy combination of arrowroot powder and soy milk. Try it out! You’ll taste for yourself how nice it is. So, my Alfredo sauce is healthier than the original and allergy-free. Meanwhile, on the pasta side of the equation, we can do the same thing! 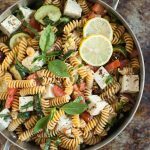 If you have a gluten intolerance, or if you simply want to supercharge the nutrition of your dish, legume pasta is exactly what you want. And the new Red Lentil Penne from Barilla fits the bill beautifully. 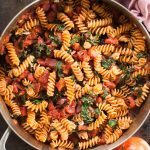 There is literally just one ingredient—red lentils—so you basically get to enjoy pasta while eating lentils! I love it. 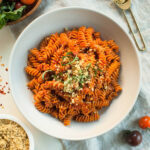 Red lentils, and thus red lentil pasta, are high in protein, fiber, iron, potassium, and folate. 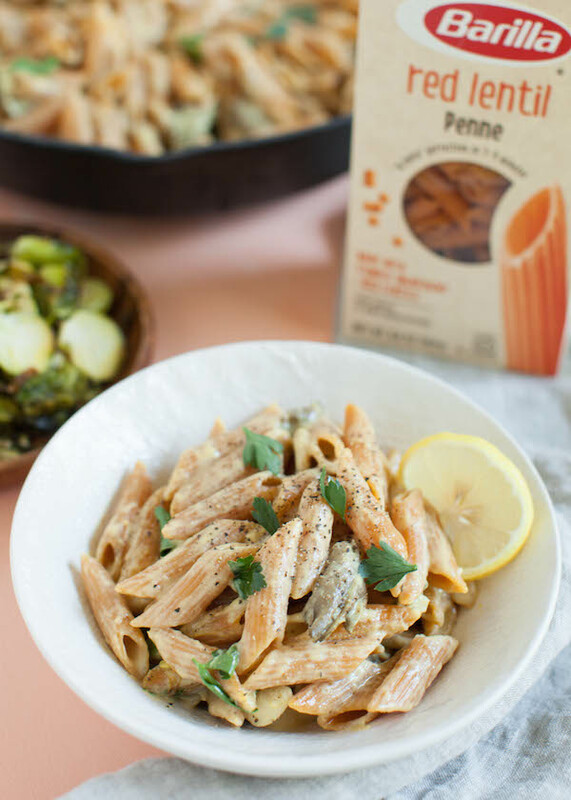 The meatiness of the mushrooms, the creaminess of the vegan sauce, the satisfying mouth feel of the penne—this Barilla Red Lentil Pasta Alfredo has it all! It tastes better than the SAD, tired version you ate at the Italian restaurant in the mall when you were a kid, and it’s better for you, too. You can find the Barilla legume pastas on Amazon, and at select grocery stores nationwide. The pastas come in four varieties: Chickpea Rotini, Chickpea Casarecce, Red Lentil Penne, and Red Lentil Rotini. Have fun exploring them all, and keep returning to my blog for more recipe ideas! For more on the new pastas from Barilla, visit www.barilla.com/legume. To make the pasta: boil 4 quarts of salted water, add pasta and boil for 6-7 minutes for al dente pasta (I add 1-2 more minutes because I like a softer pasta). Drain well, then toss immediately with a drizzle of extra virgin olive oil in the colander. Warm the grapeseed oil in a skillet on medium heat. Add the shallots, and sauté until they start to turn translucent, about 2 minutes. Add the mushrooms, and a pinch of salt. Cook until the mushrooms are tender, about 8 minutes. For meatier mushrooms place a lid or heavy plate directly onto the mushrooms, and cook on medium-low. In a small bowl, combine the soy milk and arrowroot powder. Stir well to break up any clumps. 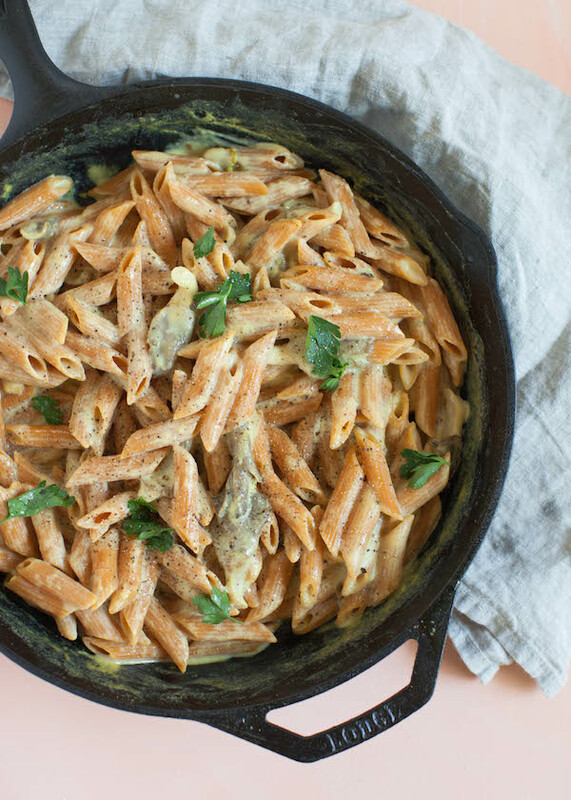 When the sauce is a creamy alfredo consistency add the red lentil penne, and stir well to combine the pasta and the sauce. Serve hot, garnished with freshly ground black pepper and parsley.